The Languedoc-Roussillon region of France is perhaps one of the most intriguing areas of Europe, bordering the Mediterranean Sea to the east and the Pyrenees Mountains to the south. 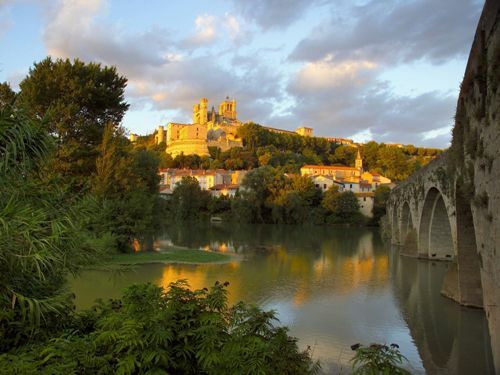 Stretching from the heart of French Catalonia in the south, to Montpellier and Nimes near the coast, and inland to the remote foothills of the Cévennes Mountains. It benefits from a Mediteraen Climate with hot dry summers, rainy winters, and moderate springs and autumns - you can expect up to 300 days of sunshine a year in the Languedoc. The weather does vary conderably as the region covers such a large area and various terrains. The Languedoc has an unusually rich wildlife, a spectacular and popular coast, and exciting history behind it with fascinating Mediterranean architecture. 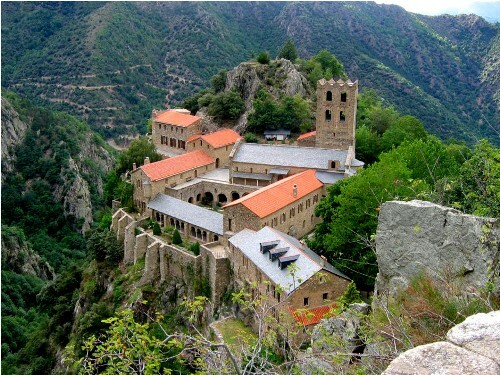 There is so much on offer in this region, climb the mountains, walk by the rivers and lakes, and stoll around the ancient cities, towns, villages, thermal springs, abbeys, and cathedrals, châteaux and castles. 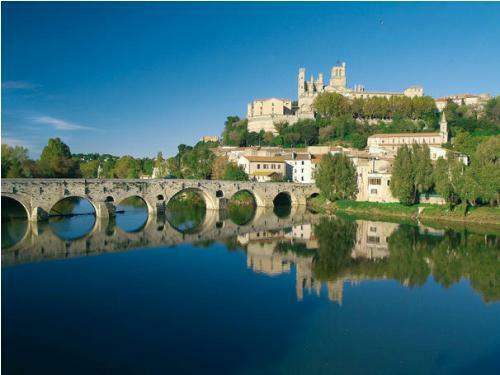 A number of World Heritage sites are in this area and include Carcassonne, the Canal du Midi, and the Pont du Gard. Luxury Villa holidays are very popular, perfect for groups of friends and family, the region boasting breathtaking Mediterranean scenery, beautiful sandy sun drenched beaches and fascinating historical towns and villages. 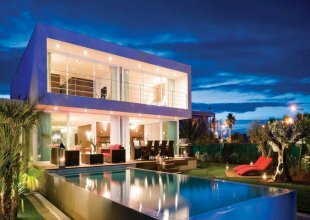 There is so much to see and do in this area, its no wonder it is so popular for a luxury villa holiday. Long sunny days, Mediterranean family friendly beaches, excellent tourist facilities, thousands of miles of walks, and rides, National Parks and wildlife reserves (such as the Camargue and the Cevennes). You can visit thermal springs and spas, grottoes and caves, explore vestiges of the Languedoc's long history, including dinosaur bones and eggs, prehistoric human remains, dolmens and megaliths, geology, archaeology and palaeontology. You can see Greek and Roman architecture, and everywhere reminders of the the Cathars, the papal Crusade against them, and the Papal Inquisition that followed the crusade. The Languedoc-Roussillon region is filled with vineyards; the region has been an important winemaking centre for centuries. The first vineyards of Gaul developed around two towns: Béziers and Narbonne. Nîmes has a rich history, dating back to the Roman Empire, and hence, it is a popular tourist destination. Nîmes has a great passion for bullfighting; the wildest and most famous is the Feria de Pentecôte, which lasts five days over the Whitsun weekend. Stroll around the boulevards de la Libération, Amiral-Courbet, Gambetta and Victor-Hugo, and wander the narrow lanes, exploring unexpected squares with their fountains and cafés. The focal point of the city is the first-century Roman arena, known as Les Arènes so this is a definate must see. Avignon is well known for its Palais des Papes (Palace of the Popes), where several popes and antipopes lived from the early 14th to early 15th centuries. Today, it is a prestigious cultural capital with its world-renowned Theatre Festival . A popular tourist destination is the Place du Palais, just next to the Place de L'horloge. Within a short distance in just about any direction are the smaller squares frequented by the locals, recommended is the Place Pie, with its covered market (open 6AM to 1PM everyday) which sells fresh produce, cheeses, wines, and produits du pays. Montpellier is a lively and surprising city in the heart of the Languedoc-Roussillon region. Vibrant, elegant and artistic, tourists are drawn to the city for it rich histroy, cultural life and youthful feel. Sete is 30 minutes from Montpellier, 'The Little Venice of the Languedoc' has retained its authenticity as a thriving fishing port, which remains the main focus of this wonderful town. The town offers a wide variety of activities including sailing, water skiing and kayaking, and golf, cycling or roller-blading down the 20km newly built beach promenade. Sample one of Sete's traditional dishes 'la tielle', tomato and octopus pie in one of the town's many superb restaurants or stroll through the fishing port with its delightful cafes. Sete has a beautiful natural, un-spoilt sandy beach with crystal clear waters. 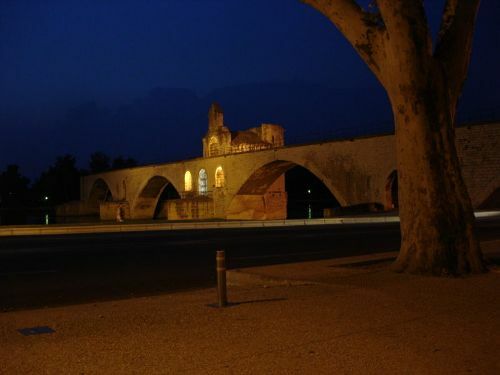 Perpignan is manily Catalan and that is beacuse it is the last major town in Languedoc before the Spanish border. This palm fringed city has a real mix of cultures which offers some of the best local food and wine in the region!